Well that didn’t take long! A hiatus lasting…half a year? Late last year, Switchfoot wrote a lengthy post online that outlined that the band would be on hiatus for the forseaable future, as the members sought after God and took a break, venturing into other things that He had for their life. An outcry occurred with comments online outlining that things would never be the same again. With Third Day retiring at the beginning of this year, the world did not need Switchfoot to depart too. Or would they be forever on hiatus like dc Talk? Well wait no more! 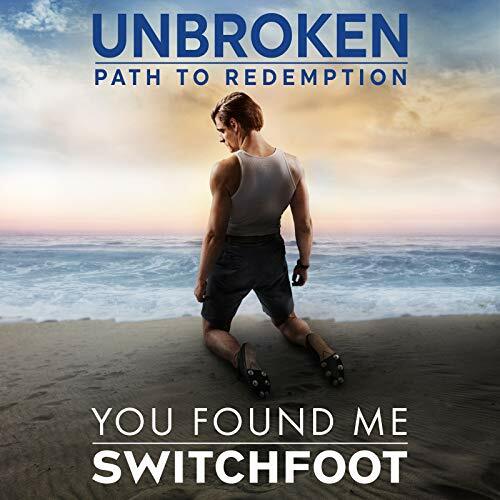 The band unveiled a brand new single this past week called “You Found Me”, ‘…written for the motion picture UNBROKEN: PATH TO REDEMPTION and is the lead single from the film’s soundtrack album, releasing day and date with the film’s theatrical release on September 14th. Clips from the film are featured in the music video for the song, which will debut exclusively via SWITCHFOOT’s social media pages on Tuesday, August 14th before being serviced wide on Wednesday, August 15th. Fans can pre-order the soundtrack today and get the song instantly…’. And as a song, it’s as worshipful as maybe “Only Hope” back in the 90’s, so to hear that side of Switchfoot after just under 20 years- that’s exciting and quite remarkable. Inspired by the movie Unbroken: Path To Redemption and the life of World War II hero Louis Zamperini; Tim and Jon Foreman have special connection to the movie, and thus to this song, as their grandfather served in World War II, on the same plane that Zamperini flew. Like Louis, Jon and Tim’s grandfather was shot down yet survived. Thus this song, and the overall message of determination and relying on God, is definitely relatable. Musically one of the lightest Switchfoot songs ever, maybe musically similar to something from Fading West, we are met with an anthem of hope and encouragement, as Jon ardently reiterates that ‘…I found healin’ for my wounded heart, I found mercy in Your open arms, I found freedom when You set me free, I found myself when You found me…’– it’s lyrically simple, yet the simplicity of the song works in its favour I reckon. Even if the track is a Switchfoot song not attached to anything in the movie- it’d still be impacting and comforting. A song that we need in such a calamitous time politically and economically around the world; “You Found Me” is sure to provide healing and peace to any and all who listen. “…One of my favorite stories is the tale of [Louis] Zamperini’s remarkable life – a legacy of finding hope in dark places. When the producers of the movie approached us about writing a song for the film, we jumped at the opportunity. And as I was writing the song, one thought kept coming back to me: He must have fought the temptation to give up, over and over again. I wanted to write a song that would capture the healing available not only to a hero like Zamperini, but for the rest of us as well. ‘You Found Me’ is a song that highlights a journey of faith, redemption, and coming home…” It’s unknown whether Switchfoot have ‘reunited’ just for this one-off song from the soundtrack album for Unbroken: Path To Redemption, but regardless, I am positive that Jon, Tim, Drew, Jerome and Chad won’t stay silent for long. They’re musicians, storytellers, entertainers, performers, agents of change in a world crying out for meaning and hope; there’s no way that if Switchfoot are still on hiatus for an undetermined length of time, that all the members will be out of music all together. Jon still has his respected and critically acclaimed solo career, and maybe in the future these guys will guest on other artists’ albums as musicians and/or vocalists and/or songwriters. Yet here’s hoping that “You Found Me” is the re-start of something special. Switchfoot have had their fair share of successes, especially their inspiring and hopeful single “Dare You To Move”, but from listening to “You Found Me”, I reckon that the best is yet to come for the band. Let’s just hope and pray that the five band of spiritual brothers think that they still have much to say as a band. Regardless though, in the next few years, we’ll still hear music from these guys, no matter the form.